A general ledger (G/L) account is required to record business transactions of an organization. Financial and management reports in SAP are generated based upon the transactions booked against general ledger accounts. 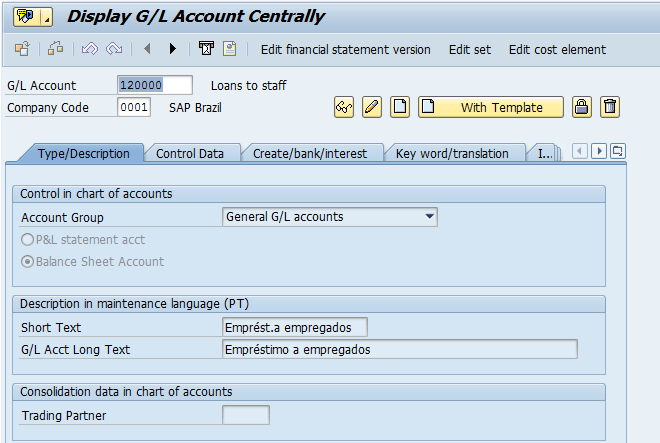 There are two types of G/L accounts in SAP: SAP Balance Sheet and P&L Statement accounts. P&L stands for Profit and Loss. Let’s discuss these account types in more details. It is a financial statement which summarizes costs, expenses and revenues incurred for the specific period of time. 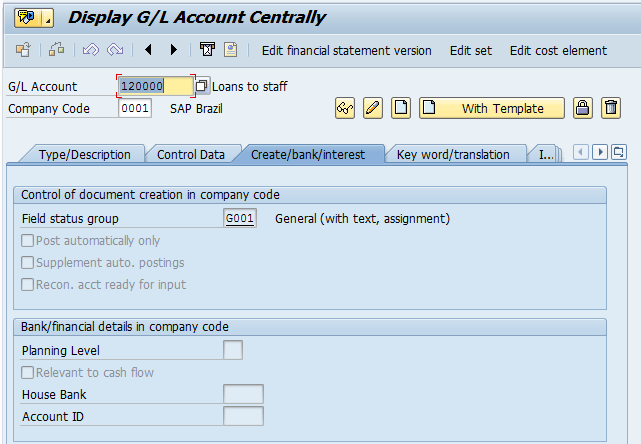 Expenses /losses are booked on the debit side and profit/income is booked on the credit side in SAP financial accounting. It is a financial statement which summarizes a company’s assets, liabilities and equity for the specific period of time. At the end of the year, net profit or net loss will be moved to the capital account in the balance sheet. 1. Balance sheet accounts are prepared at the end of the financial year and show a company’s assets, liabilities and capital. Profit and loss statement accounts show expenses, income, gains and losses of a company code during a period of time. At the end of the financial year, net profit or net loss will be moved to a capital account in the balance sheet statement. 2. Balances of SAP balance sheet accounts will be carried forward to the next financial year. Balances of SAP profit and loss accounts will be moved to the retained earnings account. 3. SAP balance sheet accounts won’t be defined as cost elements. SAP profit and loss statement accounts have to be defined as cost elements. 4. 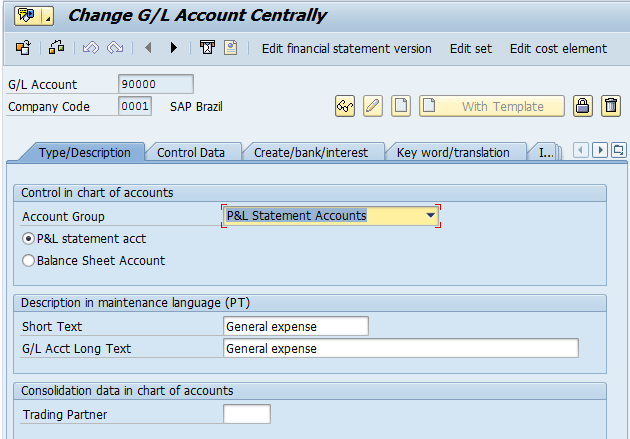 SAP balance sheet accounts can be defined with the open item management indicator to perform clearing. SAP profit and loss accounts won’t be defined with open the item management indicator. 5. 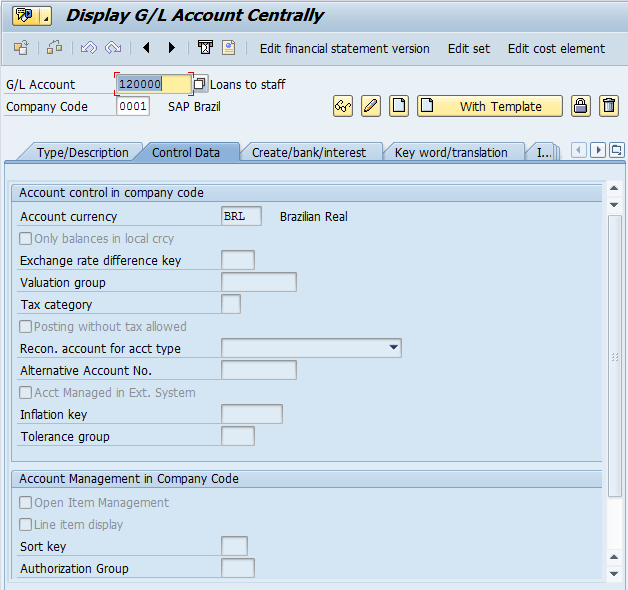 Reconciliation account type can be maintained for SAP balance sheet accounts to create vendor, customer, asset and contract accounts receivable. SAP P&L accounts can’t be defined as reconciliation accounts. 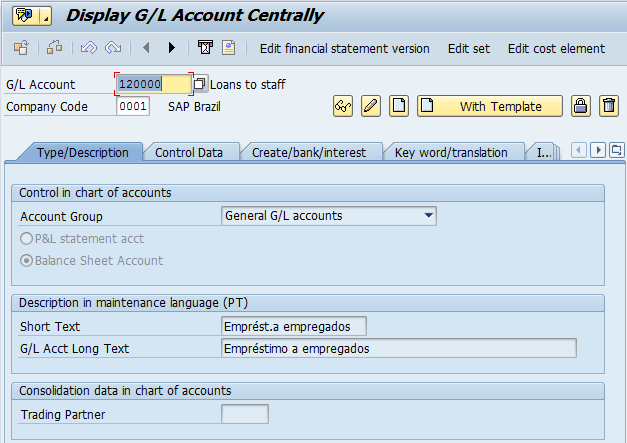 In SAP G/L account master data record, the tab Type/Description holds the information related to the chart of accounts. On the other hand, the tabs Control Data and Create/bank/interest hold the information related to a company code. While creating a G/L account at the chart of accounts level, it is required to specify whether the G/L account is a balance sheet account or profit and loss account. Based upon the nature of activity, G/L accounts are bifurcated into multiple account groups and there is no limits in defining account groups in SAP because they can be customized as per the requirement of a client. In general, an account group holds either P&L accounts or balance sheet accounts. In SAP, all the G/L accounts will be assign to Financial Statement Version (FSV) for reporting purposes. It is possible to create more than one FSV as per reporting requirements of the client. Balance sheet reports are designed based upon the structure of FSV.